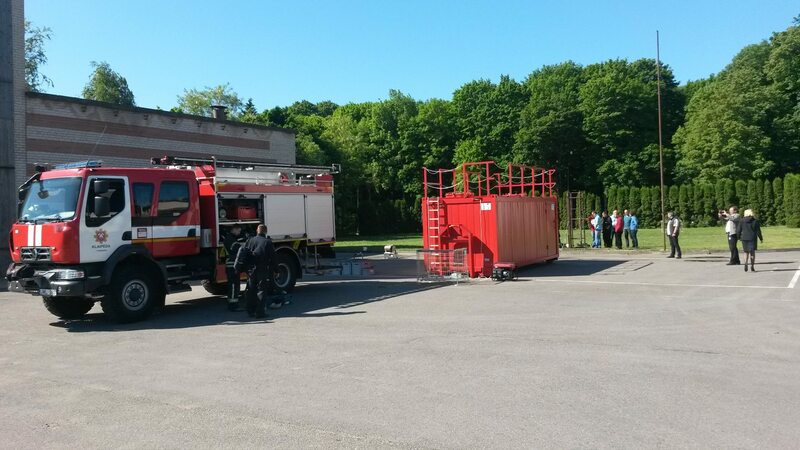 The Fire and Rescue Board of Klaipeda County have acquired a special container for simulating rescue operations in smoke and chemical polluted areas. 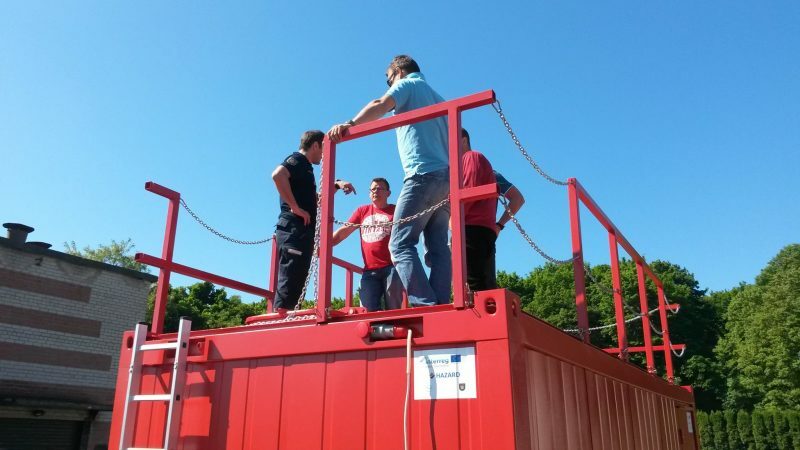 The container is compact size training simulator for training fire fighter skills but also for the public use. With this container the public can practice for instance how to use a fire extinguisher or what to do if your house is on fire and you have to get out. Fire fighters can practice smoke diving and chemical diving with this container. 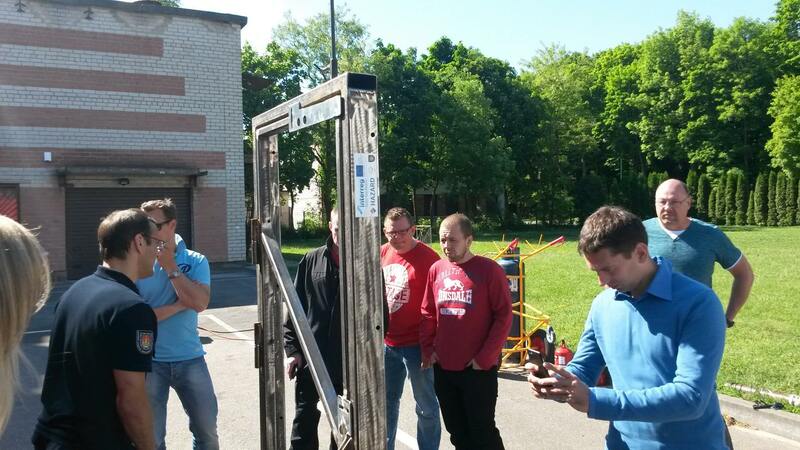 – “The container increases our possibilities to exercise for emergencies such as leakages of hazardous materials, and it improves our preparedness and enables more efficient actions to reduce loss of life and damage to the environment”, says Vaidas Masiliauskas, Chief of Station of the Fire and Rescue Board of Klaipeda County. HAZARD partners also had the possibility to see the new container while participating the LNG Seminar. – “This container is good for training of the basic firefighting skills and good tool for increasing the basic safety knowledge of the public” thinks Miikka Toivonen, Battalion Chief from the Southwest Finland Emergency Services. 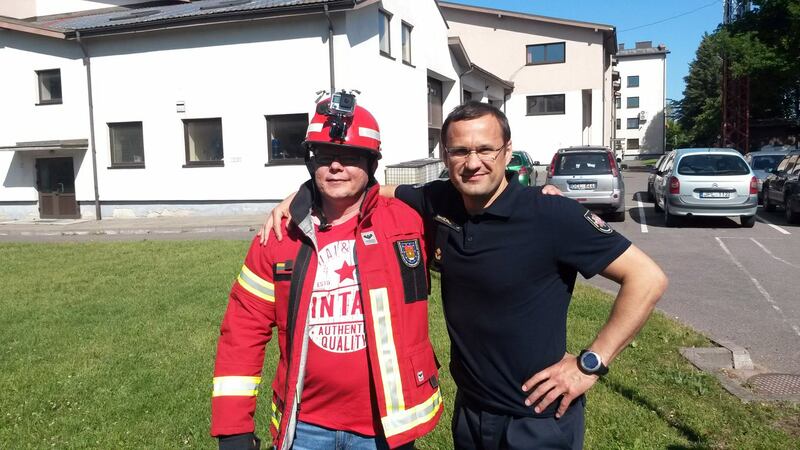 The Fire and Rescue Service of Klaipeda will arrange the next HAZARD large scale exercise on 28-29 September 2017.